Learn how to budget as a couple, so you can save where you need and spend where you want. Avoid the fights about money that hurt too many relationships. Before coupledom, you probably didn't have to share your financial decisions with anyone. You could go on a crazy shopping spree or decide to live like a monk, and—let's be honest—no one really cared. But once you decide to join your life with that special someone, your money choices affect someone other than you. "I bought a new gaming system!" really means, "We bought a new gaming system! "—whether or not you both agreed on it. Healthy couples' money management requires intentional communication and some clear decisions about how you'll budget your resources. Of course, everything is rainbows and unicorns in these beginning stages of a relationship, but cash concerns can turn that into rain clouds and dragons real quick. For most couples, the first question is, "How much do you want to combine your finances?" Your answer is not set in stone. New couples often change the way they share resources as their relationship deepens. Remember, combining or separating your budgets doesn't necessarily reveal your relationship status. Once you've clarified your individual goals and organizational styles, it will be much easier to discover how to manage your money as a couple. Budgeting as a couple doesn't have to be an all-or-nothing venture. An unmarried couple that just moved in together, for example, may want to think of their finances like concentric circles—they each have separate earnings and expenses, but decide which expenses and/or earnings they'll share. On the flip side, many couples choose to combine their finances completely. They share a bank account, credit cards, loans, and expenses. For some, tradition dictates that this is a sign of true commitment. Budgeting as a married couple with kids and a plethora of expenses and business ventures, sharing resources is just one more way they share life. "We're going to combine finances"
Streamlines life—you do most things together, why not money, too? Shows long-term commitment. Or, put another way, you put your money where your mouth is. "Nope. We're keeping separate finances"
Minimizes life changes—If it ain't broke, don't fix it! Detailed decisions about who pays for what. The more you share life, the more decisions. Can convey less relationship commitment than you intend. If neither of these solutions sits well with you, you're not alone. Sometimes couples with one unified budget set aside money for each person to spend on whatever they want. Deciding how much you want to share earnings and expenses is important for having a healthy relationship. It's also a decision that should be revisited when you experience major changes in your relationship, careers, or personal lives. Deciding how you'll budget together doesn't just require one initial powwow and then a hope that you both stick to the plan. Good communication is absolutely essential for budgeting as a couple, but most of us don't want to spend precious relationship time talking about money. Experienced experts and countless stories of failed marriages, however, beg us to talk through how to budget as a couple. 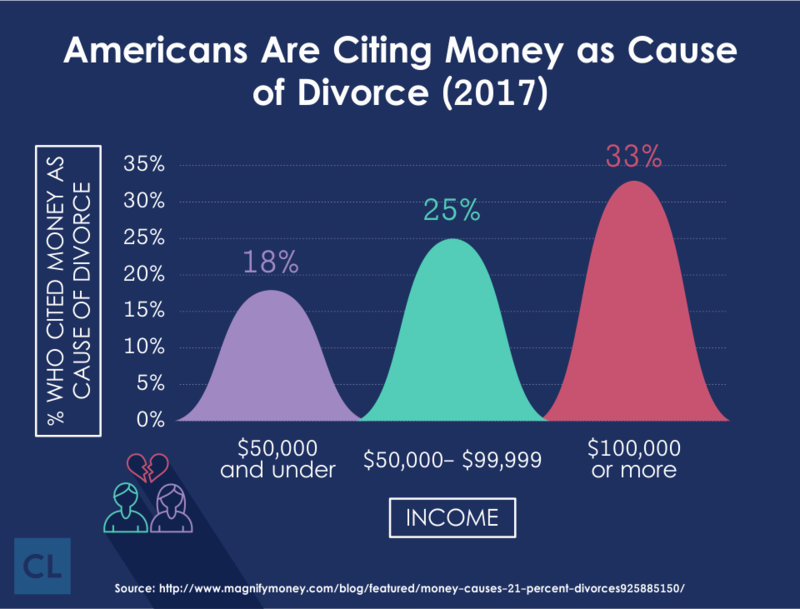 It is estimated that financial disagreements are an issue for up to 80 percent of marriage and family therapy clients. Some couples are waiting for the right time to talk about the best ways to budget as a couple. Putting off talking doesn't make it any easier. Casey Slide, a writer at MoneyCrashers, advises serious couples to start talking about finances right away: It's best to do this before you get married, but if you have not, discuss finances with your new spouse as soon as possible. To avoid losing our freedom, many of us avoid conversations about budgeting like the plague—but that eventually catches up to us. You can't hide it. Any debt you have will rear its ugly head. Take the case of "Will and Jessica." The two had been together for years but didn't have a solid budgeting practice in place. They set up a meeting with their financial planner to figure out how to better manage their resources. Alas, like a daytime talk show gone wrong, their meeting exploded when Jessica confessed that she'd secretly run up $30K in credit card debt and had been hiding it from Will. This started them on a long journey of rebuilding trust in their relationship as they climbed out of massive debt. Years of counseling, stringent spending limits, creative debt consolidation, and lots of tears later, they beat the odds. Their marriage survived the ordeal, and they came out happier—with a growing retirement savings and a dogged commitment to telling each other the truth about their finances. But this painful journey could have been avoided if they'd kept up regular, honest communication about their spending, especially from the get-go. "Decide together how you will pay bills." Separately? Or will you split the responsibility? "Be equal partners with defined goals." You'll contribute differently, but couples' budgeting takes two. "Be honest and realistic." No secrets and no pipe dreams—this is real life. "Write down your budget." If there's no proof, your budget talk didn't happen. Talking about money matters sounds simple, but many couples struggle to do it. TD Bank found that 39 percent of couples talk about money less than once per week—even though we make financial decisions daily. Although your relationship many be bright, shiny, and new right now, it's important to think about down-the-road issues and how your attitudes, perceptions, and foundational beliefs may come into play. That's why budgeting as a couple is a valuable opportunity to improve more than just finances. Many couples don't realize how much there is to talk about when budgeting as a couple. Budget meetings are not just about looking at the numbers. What else are you bringing to the budgeting table? Gaining insight into why you do what you do with money can provide a look at how you relate to each other, even outside of the realm of finance. Own your past influences. How did your parents manage money as a couple? How do couples typically deal with finances in your culture or religious tradition? Own your present actions. How have you been spending this past month? Ask yourself if there are other reasons for your spending or saving habits. Even if you do realize how important communication is, sharing the truth about your spending habits can be scary, especially when your relationship is fairly new and your significant other has different values in this area. Once the cat is out of the bag, you'll have to deal with your partner's reactions to it. But for couples, it's good to understand the reasons behind why each person is the way they are. But how can we smoothly broach these sensitive topics as a couple? More than just knowing you should communicate, you need to know how to communicate. Set up regular times to talk about budgeting as a couple. In these times, make sure you don't just talk about how to save or spend, but also why. Listen to each other well. Both of you are equally important in making this budget work. Again, be honest about your past and present debts and spending. Be kind and gracious. You will both make mistakes. Even if communication seems to be one of those sticking points as a new couple (hey—it happens! ), addressing the matter head-on can improve things drastically in a short amount of time. Of course, extenuating circumstances or co-existing challenges can lengthen that process. But, there is hope for change in even the most difficult relationships if you commit to working through the issues. Often we don't have a clear, compelling goal to keep us motivated in budgeting. For most of us, budgeting is not fun. However, if you can identify what you both want, and why you want it, the rest of the budget process won't feel like such a chore. Think of it as a fun "new couples" challenge that you can tackle together. No matter where you are in your relationship, buying stuff is rarely a compelling goal. But if you can tie your financial goals to what matters most to both of you, sacrificing for your budget will be easier. Getting out of debt, for example, is a goal for many couples, new and old. But detailing the reasons why you want to get out of debt is what will keep you on track for the long haul. How do we want to be significant in the world? What are we passionate about? What do we want to accomplish that will actually never get done—it'll be a goal forever? What would we be happy doing for the rest of our lives? Once you've picked up some communication tools, set regular times to work on budgeting as a couple, and come up with compelling goals, it's time to find a budgeting system. There is no one "best" way to budget as a couple, and you'll probably find that you disagree on the best way to do it. Newlyweds are often surprised to discover the truth behind the financial habits of their partners. It isn't uncommon to for one or both parties to think of the other, "How have you survived so long living this way?" There are many methods and tools out there, but which one works for you and your partner? Are you a sucker for the latest tech tool, or do you pine for the quill and ink you saw in the antique store last week? If you don't take the time to figure out how you'll budget as a couple in the early stages of your relationship, be prepared to fight a whole lot more. 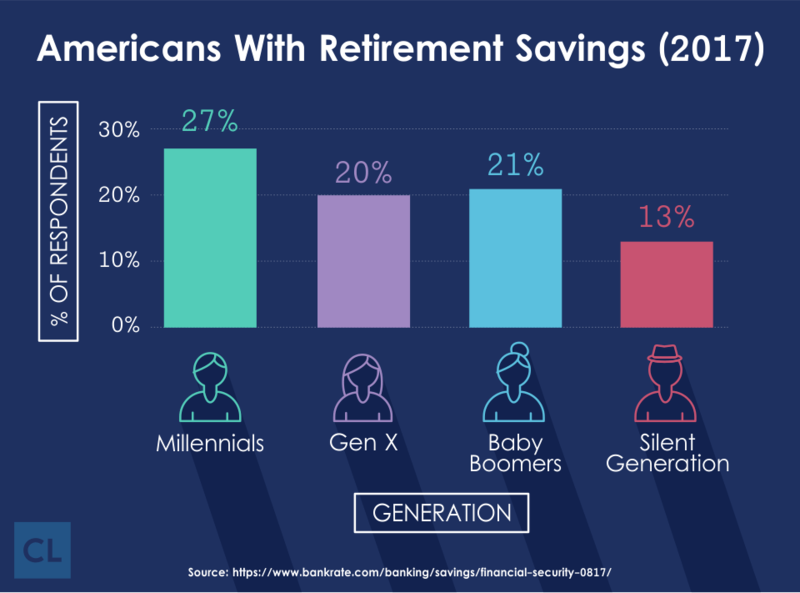 In a 2012 survey about financial rifts and couples, the American Institute of CPAs found, that "almost half (49 percent) most often argue about unexpected expenses; a third (32 percent) argue about insufficient savings. If you budget together, you'll know what to expect and can avoid nasty arguments. And you really can't put a price tag on that, can you?! There are essentially two main types of budgeting—physical and virtual—and they both have strengths and weaknesses. Physical systems require you to use cash, keep physical accounting ledgers, and meet frequently. Virtual systems utilize digital spreadsheets, websites, and apps to keep account of your money. Physical systems are beneficial for couples that want to keep a tight rein on their spending—a good idea, especially if you're still finding your relationship footing. Physically seeing and handling your money gives you a better daily grasp on how much you're spending. You won't be able to spend more than you have. Your spending mistakes will teach you to live with less rather than rolling over into future debt. It's time and labor intensive. For best results, you'll both need to use it. It rules out most online shopping. You'll miss out on the reward points many credit cards offer—but you might save more than they'd offer as cash back anyway. Digital systems to manage your money are great for couples that manage life well with technology. 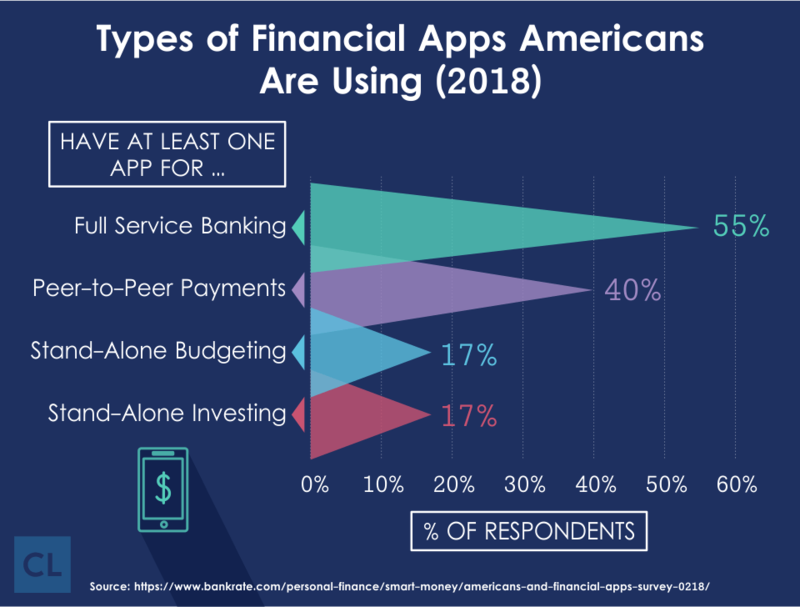 In fact, according to Pew Research Center, 51 percent of adults already bank online, and 35 percent of cell phone owners bank using their mobile phones. Saves time with automation as most of these programs sync to your credit cards and bank accounts and quickly input information to detailed couples' budgeting worksheets. They also facilitate paying bills with the click of a button. Keeps you up-to-the-minute on your spending, Financial management apps can sync your individual actions to your combined budget so you both know what's happening in real time. Out of sight, out of mind. Mindful spending is harder when you can't see the actual money. Information security: You'll be placing a lot of sensitive financial info into the hands of a tech company. Depending on your preferences, you and your sweetie might want to combine physical and virtual systems to suit your preferences. Consider ways that both of you will feel more in-control of your money—something of utmost importance when you're new to being "two." Taking 10 minutes a day to physically write down what you spent, in addition to having the app. At the end of the month, compare your notes to your tech to see if you'd like to adjust your method. If you've decided to go digital in creating and keeping your budget, you'll quickly find there are hundreds of options, ranging from simple online worksheets to comprehensive software systems. Spreadsheets are a great first step in digitizing your budget. To get a hands-on feel for budgeting without having to deal with physical methods, try using a spreadsheet template. Words of Williams has a free, downloadable budget worksheet that's great for budgeting novices. It includes features like a fuel calculator and a 13-minute video tutorial to help you get started with the sheet. A simple spreadsheet made from one of Excel's budget templates might be just what the doctor ordered if you like creating your own sheet but want to share it online. You can also add your budget to Google Sheets so you both have access to edit it whenever and wherever you'd like. Plus, this option is completely free. Be sure, however, to refrain from entering your complete account numbers to prevent theft if your Google account gets compromised. You can also use spreadsheets to supplement your main budgeting tool and help with specific budgeting goals. This debt reduction calculator worksheet creates a simple payment plan for your debts after giving you a clear visual on the actual numbers. Feel free to get creative in combining other couples' budgeting methods with using spreadsheets. For example, you might track your regular bills with a spreadsheet, and your non-essentials with the envelope system. Make a plan, try it out, and adjust as needed. Learning how to manage money as a new couple is an ongoing pursuit, and we all need that extra push at some point along the way. But which financial planning experts should you trust to teach you? It's important to do background research on any potential advisors, coaches, and authors. Even the most popular and effective ones will have critics, but checking out the expert's past successes and failures and what other experts say about their ideas can help you evaluate their recommendations with sober judgment. Back to school. Best-selling author and personal finance expert Dave Ramsey developed Financial Peace University, a 9-week course that guides people through the basics of planning and implementing a budget. Ramsey focuses on helping people get out of debt, raise their credit score, and spend within their means by planning and using a cash-based envelope system. His organization has helped more than 4.5 million people take control of their money through these classes and coaches. According to Ramsey, the average family experiences massive financial benefits within the first 90 days of implementing the program—typically paying back $5,300 in debt and saving $2,700. Other financial advisors have critiqued Ramsey's investment strategies, but most agree that his followers learn to be disciplined spenders—the first step in making any budget work. The book club. There are several authors to recommend, but a great book to get you grounded in the basics is Ramit Sethi's "I Will Teach You to Be Rich." Sethi covers everything from setting goals to budgeting to making extra income. Buy two copies and review a chapter a month at your regularly scheduled budgeting time. It'll be time well spent. Ask an expert. We all need expert advice or coaching sometimes, but it can be hard to find good financial or relationship support. Look for financial advisors who adhere to fiduciary responsibility standards and have a Series 65 license. This means they're bound to put your welfare before any possible benefits gained from recommending certain investment products or plans. Search reputable trade associations, like The National Association of Personal Financial Advisors (NAPFA). Ask local friends and family—a personal recommendation can be the best one. If you need relationship support because of money struggles, look for a certified marriage and family therapist. You can do a search for one with the American Association for Marriage and Family Therapy. Also, friends, social networks, places of worship, and community organizations can help you find a good match. If you've run out of ideas on how to spend less, check websites like The Penny Hoarder for tips on ways to save. RetailMeNot has online and in-store coupons for a vast majority of retail stores. Honey is a new Chrome extension that searches the web for promo codes before you check out at an online vendor. Some sites will also provide brain fodder for finding that side hustle you've both been trying to discover. Do I have a hobby that could generate some income? Lots of people turn fun activities like baking, reading, and sports into business ventures. Do I have an expertise that people need? Maybe you can do some consulting. Wherever you live, there are resources to help you and your partner budget as a couple. You can make use of local advisors, online classes, books, and more on your journey toward financial health in your relationship. It's tempting to think of budgeting as a couple negatively—it's so not romantic, we know. Oftentimes, we dig in our heels when we should be revving our engines to start the process. At one point or another, many of us have muttered, "What a waste of time!" or "We'll never be able to make a budget work—why bother?" But the one thing we'll all agree on: Divorce stats and past experience don't lie. If you're going to make it as a couple beyond the blissful beginning, you have to figure out a way to budget as a couple. The good news is that budgeting as a couple has never been easier. You have fantastic systems and tools at your disposal. Plus, you can ride on the coattails of experts and friends who've walked this road before you and lived to tell the tale. Most important, you have each other. With good communication, clear goals, and solid budgeting, you can get out of debt, spend wisely, and even save for the future. So grab your partner and start talking about budgeting as a couple—financial freedom is just around the corner.